With the recent release of the 2018 World’s 50 Best Restaurants list, the line between necessity and art regarding food continues to blur. Food is a basic human need for survival yet, more and more, it is being used as a medium for the creation of art. Chefs such as Massimo Bottura, Daniel Humm, Joan Roca, René Redzepi, and many more, use food to create works of art that stimulate all of our senses, working with taste, smell, texture, and visual aesthetic. Food has always been a platform for creativity, with people using innovative cooking to elevate the ingredients their environments yield. Lately, due to the rise in popularity of the Michelin guide and San Pellegrino’s World’s 50 Best Restaurants list, this creativity has evolved as restaurants aim to provide immersive experiences that showcase food and ideas as art. 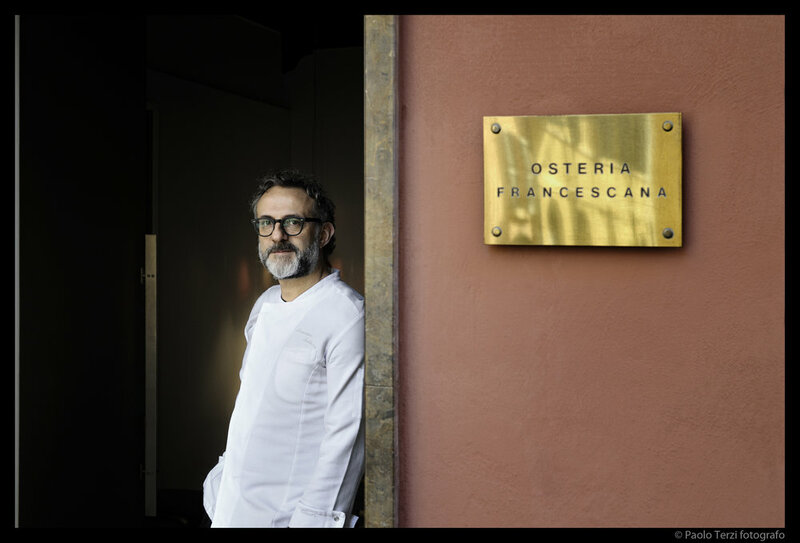 Massimo Bottura, chef of Osteria Francescana—the best restaurant in the world on this year’s list—is the epitome of how the title “chef” can also double as “artist.” Bottura takes inspiration from contemporary art and produces dishes that look like abstract paintings and sculptures. Each ingredient on his plates has a purpose for for its presence—coming together to form harmonious flavors and beautiful scenes. 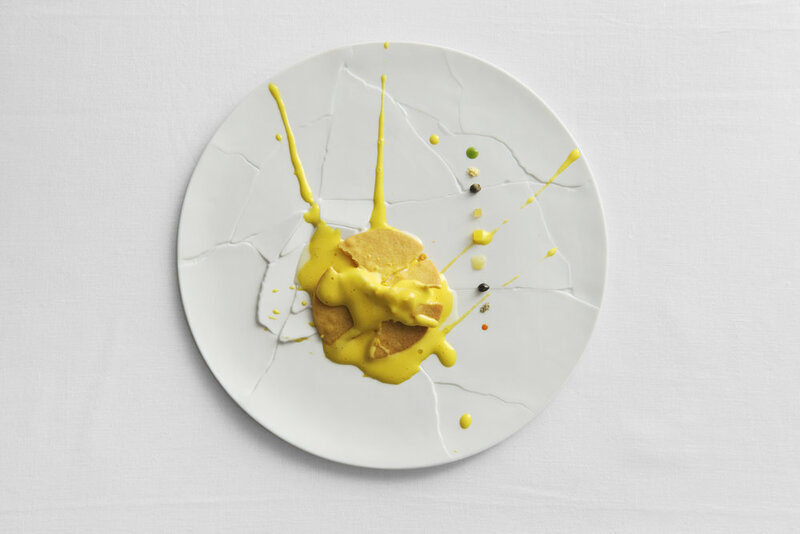 Like most art works, Bottura’s dishes often have meaning and evoke emotion. His dish “The Crunchy Part of the Lasagna,” is an ode to his memory of eating the the crunchy edge of the lasagne—his favorite part of the dish—as a child. Bottura uses every component of the traditional lasagne in a new and unique way, creating a plate that features the dish and evokes the memories of childhood. Another one of his dishes named “Camouflage: Hare in the Woods,” is an homage to Picasso. 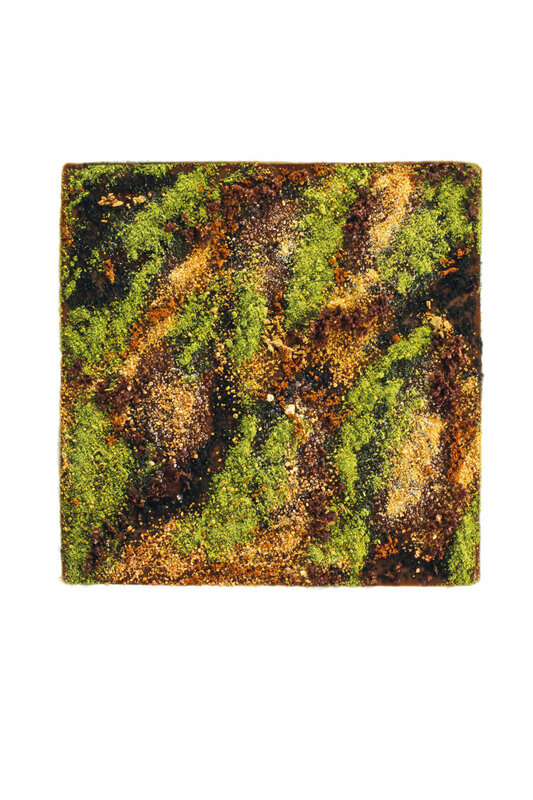 The dish, consisting of hare, blood, chocolate, and various herbs, is a cubist portrayal of a landscape filled with shades of greens and browns. Inspired by art, the dish satisfies not only a craving for food, but also the craving for beauty and reflection. Joan Roca, chef of El Celler de Can Roca, and his brother Jordi Roca, the pastry chef of the restaurant, also elevate food into fine art. Both chefs use molecular gastronomy in their dishes and incorporate science in their work, making their food precise and exact yet soulful and abstract. The dishes they produce appear as three-dimensional paintings presented in untraditional ways with purees painted across plates, aromatic foams, and vibrant colors. Rarely do they use normal plates, opting instead for sculptures and pieces of art on which to present their food, equating their dishes with the art. However, not only fine dining restaurants create art with food. 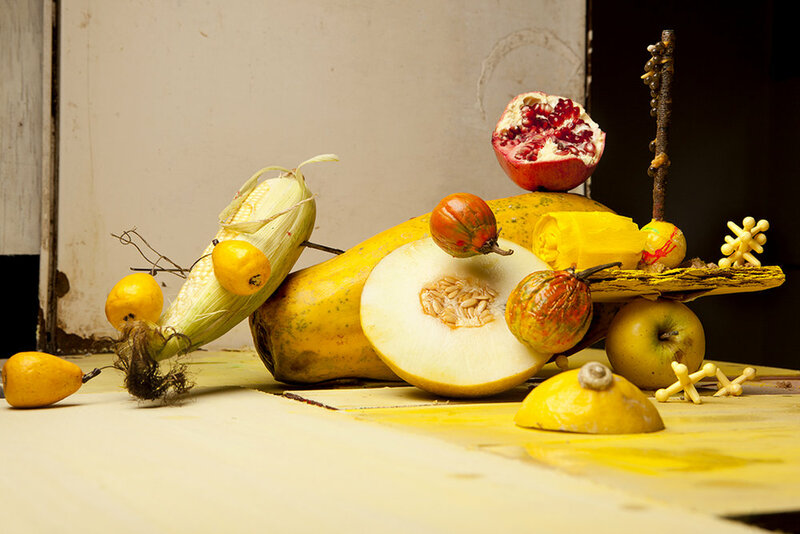 Food has historically been a source of inspiration as artists painted still-lifes of fruit, vegetables, and breads. Photographer Lorenzo Vitturi captures enticing photos of food ingredients stacked on top of each other as if they were seaside stacked rock sculptures. Vitturi takes everyday ingredients such as aging bananas, peeled oranges, and opened pomegranates, and stacks them in an abstract fashion. 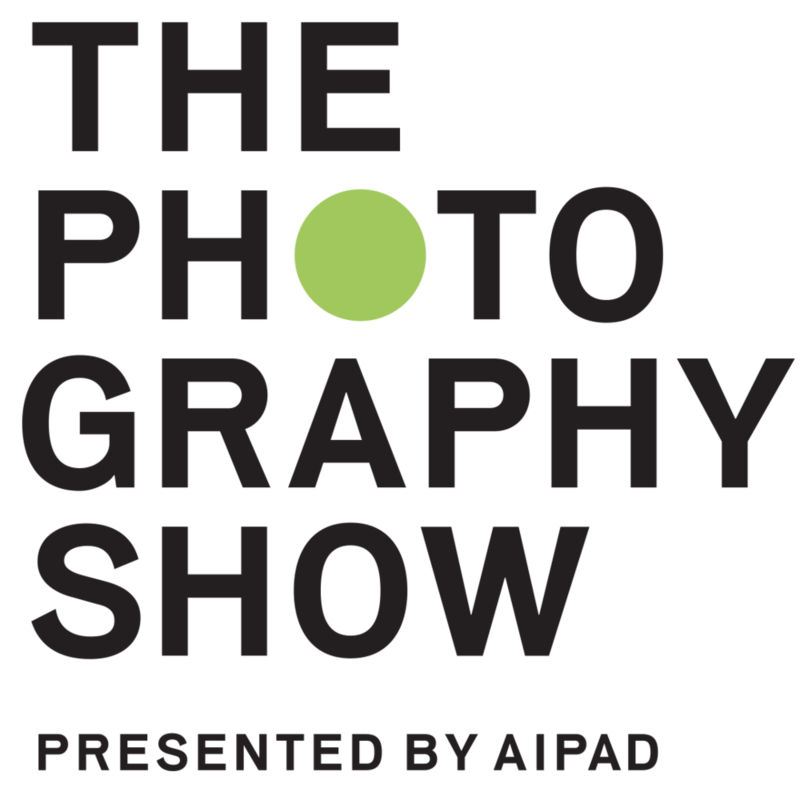 He demonstrates in his photography the elevating of the causal—seen and used daily—into art. We experience our basic necessities every day, and, due to these often-occurring interactions, it is inevitable that we transform them into being more meaningful and pleasurable. This is the reason for the strong connection between food and art. Visual art is often influenced by the symbolic meaning and aesthetics of food—using food as the subject. And yet, art can also be created within the medium of food. The two share a symbiosis—they are influenced by each other and, oftentimes, become each other. May 4 Frieze New York 2018: Who’s the Fairest of Them All?